You’re not in a relationship. I can hear the collective sigh of frustration. I know. I get it. Coparenting is tough. But it’s also so very important for your kids! The other day, I found myself clicking through random articles on the web. I came across one about the “Best Arrangement for Kids of Divorced Parents.” Being ever so curious, I opened it. The article just said what we’ve all heard a hundred times before: it’s important to have both parents in the picture. Well of course it is! That’s easy to say for a researcher with no kids, or for a parent in the perfect relationship. But what about the rest of us? The article conveniently left out the fact that coparenting is difficult. It’s hard to deal with the other parent sometimes. It’s hard to be flexible, to be understanding. It’s tough to agree on the same rules and the same schedule. Every time you drop him off or pick him up, it’s important to make sure you both know the child is the most important part of the relationship. I’ve been pretty lucky, both of us are in the picture, and we both get a long pretty well, for my son’s sake. It can still be difficult though, especially when you two don’t agree on something. Try to remember that the little human in the carseat is still the most important thing to your world. If you truly want what’s best for them, it’s important to try and make it work with both parents. You may not think the other parent is amazing, but your kid probably still loves them, and they’re very lucky to have both parents in the picture. Every time you drop them off, you’re teaching your child that family is important, even if you don’t get along. You’re teaching your child respect and love. If you have trouble (like me) try some of these tips for coparenting! Try and have some consistency with rules, schedules, etc. Focus on the kids, not on your feelings or frustrations. Always treat the other parent with respect. Never say anything bad about them in front of the kids. Try to commit to honest, frequent conversation with the other parent. Be flexible with your time. If you want a few extra hours with the little one this week, make sure to return the favor. Remember what’s most important, you kiddo! I knew as soon as I found out that I was pregnant that I wanted to breastfeed my son. I went and did as much research as I could. WIC provided some great resources and my midwife gave me a lot of suport. Some of my family was very supportive and some just told me not to get my hopes up- that it’s very difficult. For me I paid them no mind honestly, I knew what I wanted to do. However, skipping ahead to my labor and birth; nothing went as planned. I ended up having a c-section. My son was born with low blood sugar so had to be taken to the NICU. I gave birth to my son at 6:55am and did not hold him till 3:30 that afternoon. He was given a bottle and a pacifier, and no one told me that I should have pumped. I was nervous and very upset that I would not be able to breastfeed my son. In the hospital I would breastfeed him then give him a bottle then I would go and pump. The process took awhile, it was a lot of work; I honestly didn’t know how long I could keep up with it. I did this continuously for about two weeks before my milk supply was enough for him. I was so excited to be able to just feed him off of my breasts. I experienced my first cluster feed with only feeding him off of my breast. It was pretty scary at first I felt like I didn’t have enough milk, and it felt like all I was doing was feeding him. I mean sleep? I barley experienced that in my first two months with my son. But cluster feeding is a topic for another day. I ended up getting mastitis, an infection of the breast, when my son was almost two months old. This infection was horrible; flu like symptoms, 104 fever, and having to take care of my son on top of that. I remember there was a point at where I made a bed on the floor and put the heater on my back, because I had the chills that bad and breastfed him like that. As a result of this infection I lost my milk supply. I was back to square one. I was so discouraged. I was so upset. Apart of me felt like I was failing my son. I did everything to get my milk supply back up, but I am still only making 3-4oz for him when he needs 5-6oz per feeding. So as of now I am breastfeeding and bottle feeding my son. 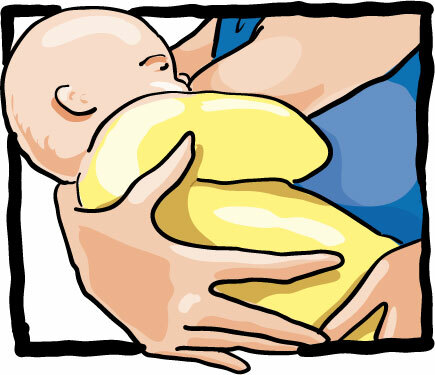 At first I was self-conscious to feed my son a bottle after I breastfed him. Other times I was self-conscious to breastfeed him. I was worried about what people thought, was worried that they would judge me for the way I choose to feed my son. It’s something…getting nervous about what other people think about how I feed my son. My son has always gotten excited when it is time to breastfeed, but now I see him get excited when I make a bottle. So what is my son truly excited about? That he is being fed, that I am taking care of him and nourishing him. I think as women there is so much judgment about breast or bottle, bottle or breast. 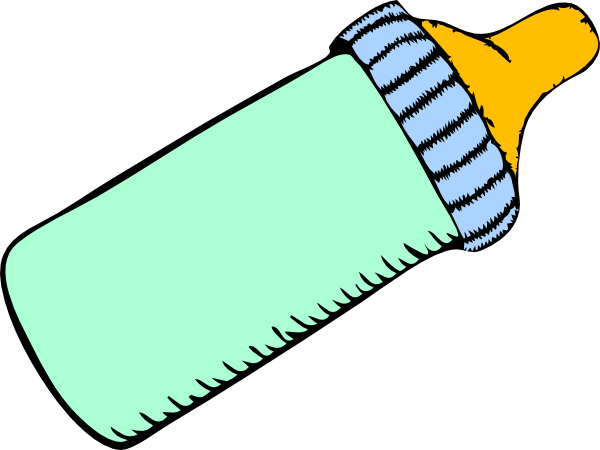 Whatever choice you make; breast or bottle (or both) your baby will be thankful. However, I feel as women, we need to encourage and support each other no matter how we feed our baby. We do not know everyone’s story of why they choose to feed their baby the way they do. So as women lets empower each other. I have been sitting here staring at this screen on and off for the past hour trying to figure what I have to say about being a young parent. Clearly I have decided to start typing, but I still have no idea where to start. I know what I want to say. The problem is how do I tell my story without sounding like a crazy woman. Since becoming a young parent, I do not remember the last time I was not tired. 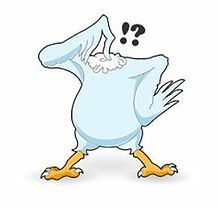 Between work, school, and caring for my son, I feel like a chicken with its head cut off running around aimlessly. With that being said, I have never been happier in my life. I smile so hard that my face hurts more than my exhausted brain. The best part of my day used to be falling asleep to Netflix. Now, the best part of my day is when Caleb is asleep and his diaper is full. I pray that he doesn’t wake up while I am changing him because I have so much work to do, but by the time I’m done and I look up at him and he’s awake. My first thought is, “Just great!” Then he looks into my eyes and he smiles at me and I can’t help but smile back. I feel like giving up EVERY SINGLE DAY, but his smiles gives me the push that I need to keep going. I laugh when I should cry, I watch him sleep when I have a million other thing I should be doing, and while people thought becoming a young parent meant my life was over, but I have never felt more alive. To all the other chickens with your heads cut off, I can’t tell you how things will work out for you because I am still trying to figure that out for myself. What I can say is that you are not alone. 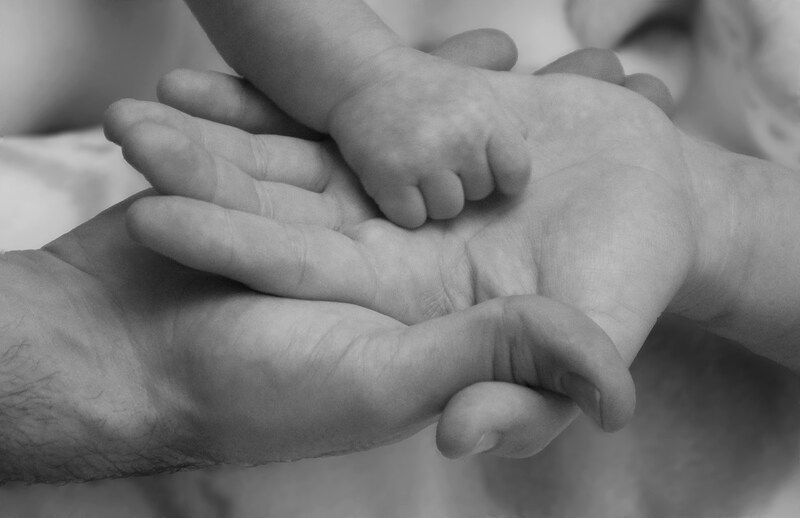 Stay strong and be #proudtoparent ! Join the Proud 2 Parent Council! Apply to our Young Parent Ambassador Program! 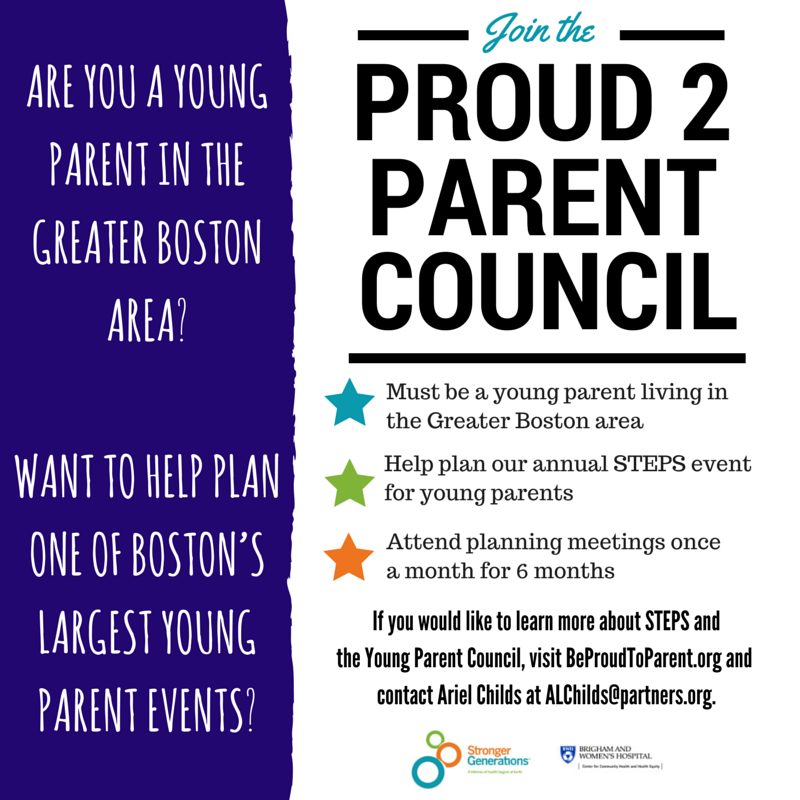 What: The Young Parent Ambassador Program is an employment and leadership program that empowers Boston’s young parents and helps them reach their goals. Who: Young parents 25 years or younger (must currently be an expectant or parenting young adult). 10 Free Things to Do in Boston with Your Kids! Free Fun Fridays: Enjoy 60 museums and cultural venues open for free on Fridays all summer long including the Franklin Park Zoo, Cape Cod Maritime Museum, MIT Museum, and more! Click here for a full schedule. Star Gazing at the Observatory: The Public Open Night at the Observatory is a chance for young people to observe the night sky through telescopes and binoculars. Gaining hands on astronomy knowledge. Wed nights, 8:30-9:30pm. Coit Observatory, Boston University, 725 Commonwealth Ave.
Magic 106.7 Family Film Festival: Enjoy FREE entertainment, games and gift card giveaways beginning at 6pm followed by the featured movie starting at sundown. The first 20 guests to arrive each night will receive a free picnic blanket. Every Sat in August. Prudential Center Shops, South Garden. BPL Concerts in the Courtyard: The Boston Public Library courtyard will host free music concerts that range from jazz to classical and from folk to funk. Through Aug 29, Fridays, 12:30pm and Wednesdays, 6pm. Central Library in Copley Square. Mayor Walsh’s Movie Night: Mayor Walsh is hosting free movie nights all across Boston. All ages are welcome to join the fun. Free popcorn! Bring your blankets and chairs and make yourself comfortable as you enjoy these family favorites in the outdoors. Full schedule here. STEPS Photos Now on Facebook! For the full photo album, check out our Facebook page! My name is Grace Garcia and I’ve been a young parent ambassador for the past 16 months. As my time is up I have had a chance to reflect on my journey. When I first started the program I believed that I knew exactly what all young parents were like and what they needed because I was a young parent. I believed I knew everything there was to know about the young parent community but over time I realized I was wrong. Not all parents were on food stamps and not all single parents were mothers and not everyone needed to go to college to be successful. I also went into the program believing that I had made a mistake by becoming a mom and I thought my story would prevent teens from having babies. But my whole view on teen pregnancy was wrong. I associated unplanned and unwanted pregnancy to teen pregnancy and there is a difference that I have come to know. Being part of the ambassadors program helped me to become aware of the issues my community faced and how these issues directly affect me. For example, racism was something I believed didn’t exist anymore but now I know how greatly it has impacted me and how racism still exist not just between people but also in the schools systems and in government institutions. This has changed my perception of life and it is a constant reminder when I step outside my home in a “bad” neighborhood. When I started this program I thought I had made a mistake when I had my child at 19 and even though he made my life better I felt a lot of pressure to say the opposite. I almost felt lucky because I wasn’t like the other teens that were made to think and say that having a child ruined their life. Before I associated unplanned and unwanted pregnancy to teen pregnancy and this was not necessarily true. I love being a mom and I learned that it’s ok! I have to thank every person who I have come across on this program especially the ones who made me smile. Thank you to the people who supported me during my toughest times. And I have to thank the program for teaching me so much that school and my community failed to teach me after all “Knowledge is power” and I look forward to whatever great things life has next for me.